These practice Math Worksheets offer the basic Math facts three times each. We also include our Math flash cards of all four Math operations. Print and reprint as often as your students need practice with our printable Math worksheets. 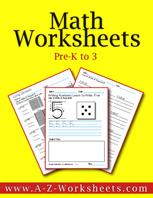 These practice Math Worksheets offer practicing the basic Math facts three times each. We also include our Math flash cards of all four Math operations. Print and reprint as often as your students need practice! There are 945 pages of printable Math worksheets.